Kareena Kapoor’s son Taimur Ali Khan loves to have all the attention from the paparazzi and also loves to have a swing in his balcony. 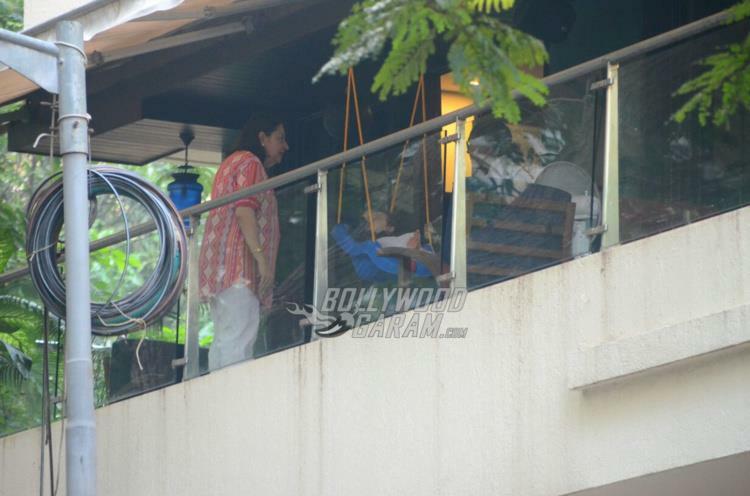 The little one was snapped enjoying a swing at his residence in Mumbai with his grandmother Babita Kapoor on October 17, 2017. 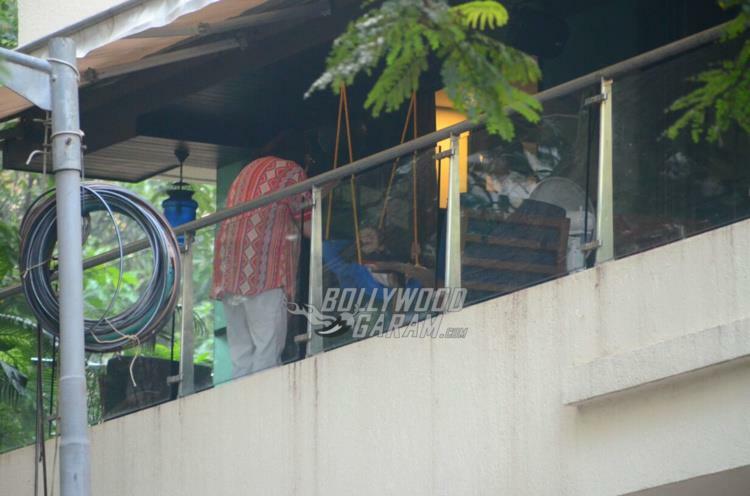 Kareena Kapoor and Saif Ali Khan’s son Taimur was born on December 20, 2016 and since then he has been the favourite of the paparazzi. 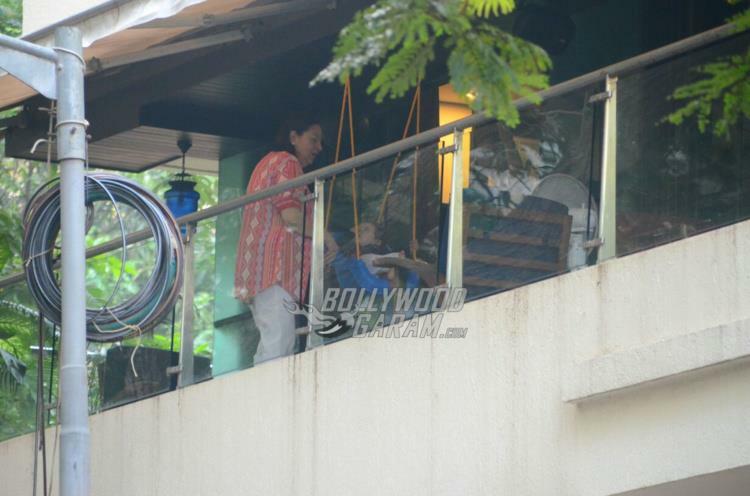 The pictures of the Pataudi and Kapoor baby started doing the rounds since the time of his birth. 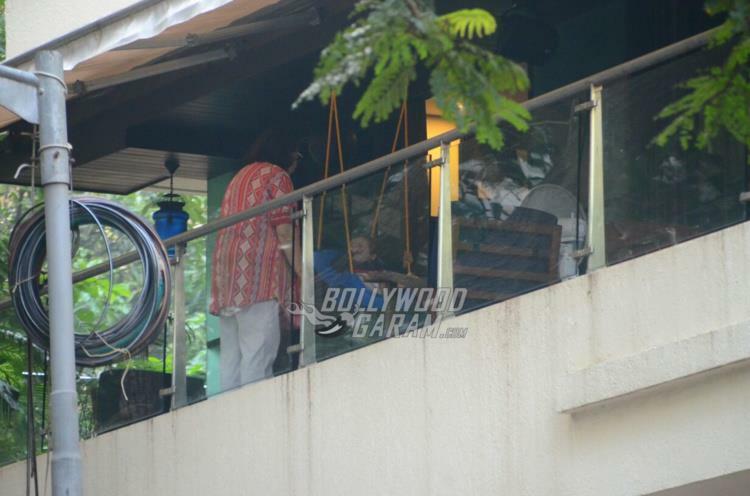 A debate was also raised among the fans about the name that was selected by the parents for their son. 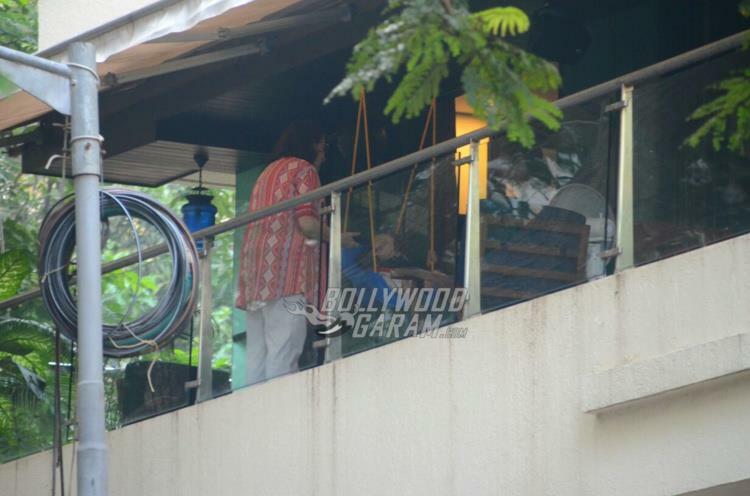 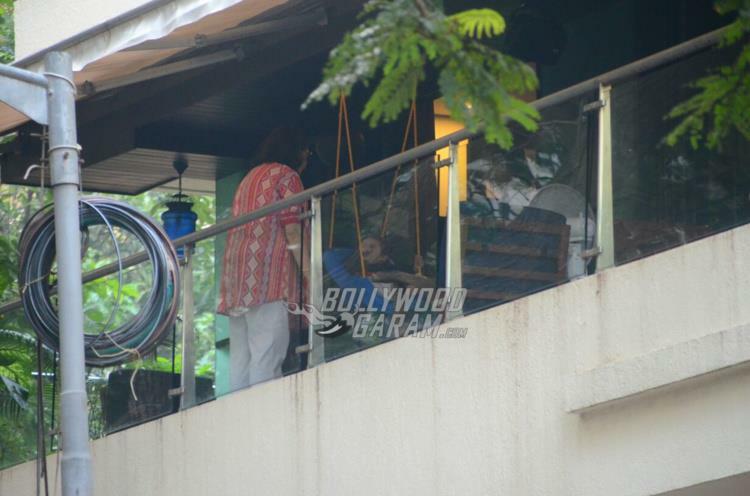 Exclusive photos of Taimur Ali Khan with his grandmother, Babita Kapoor!